You are currently browsing the archives for the tag 'Peter Beard'. Happy Easter to all of you, my fabulous readers! This year, I would like to share with you some of the probably most stunning Easter eggs ever seen, coming from the house of Fabergé, a name that is synonymous with eggs of the most luxurious kind. 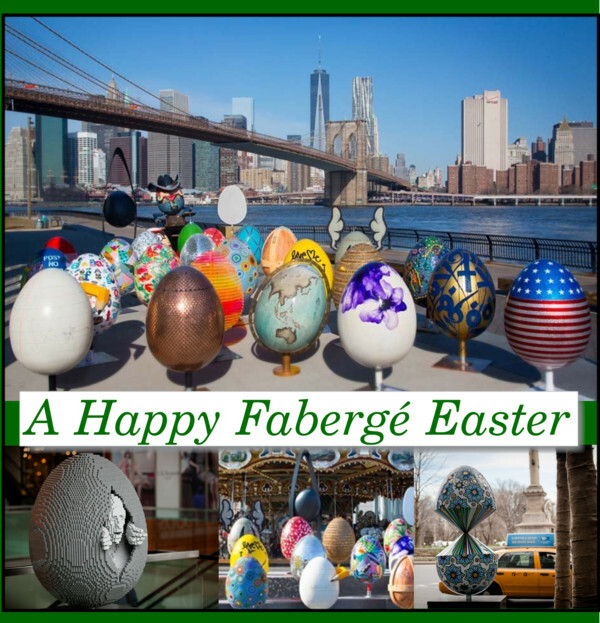 In New York City, Fabergé has been sending the residents on their biggest ever egg scavenger hunt to raise millions for charity. Almost 300 giant egg sculptures were scattered around the city’s five boroughs. 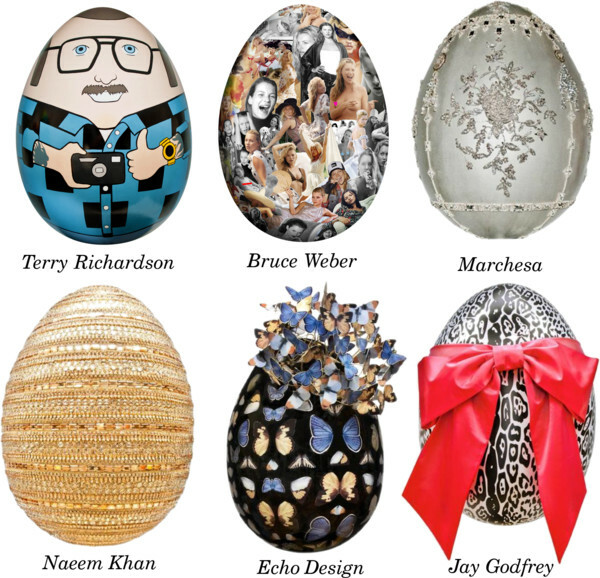 The jeweller had commissioned renowned artists, designers and architects to create the two-foot tall eggs as part of a citywide art display. 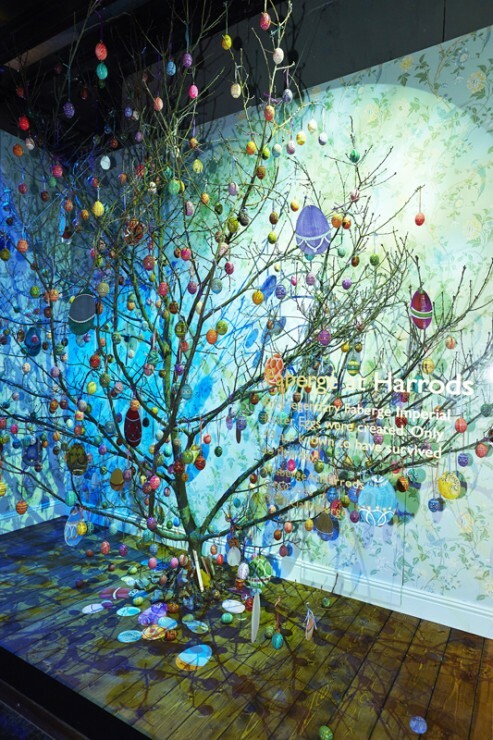 Among those participating in the project are Tracey Emin, Mark Quinn, Zaha Hadid, Ronnie Wood, Peter Beard, Diane von Furstenberg, Marchesa, Oliver Theykens and Bruce Weber. Those amazing egg sculptures are auctioned off (bidding has already started) until April 26 on Paddle8 to raise money for the conservation organization, Elephant Family. The hunt will also gather funds for Studio in a School, a program that brings visual arts to New York City’s public schools. 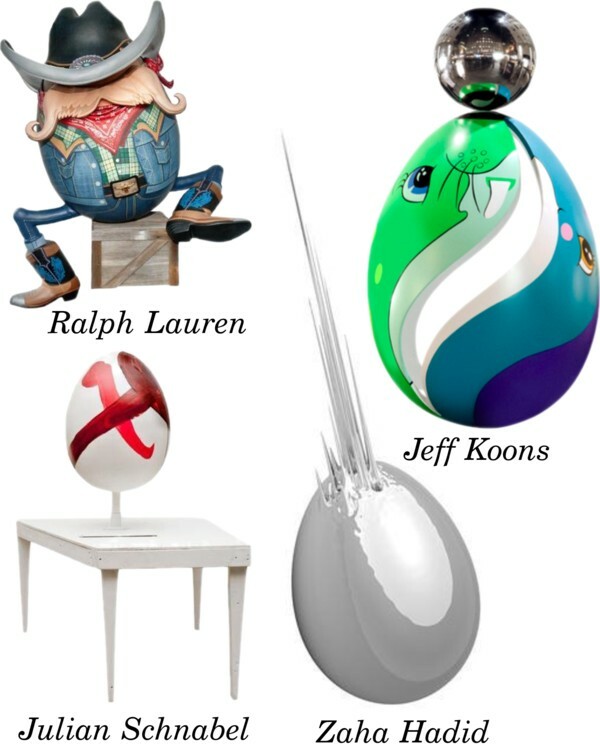 Some of the amazing egg sculptures by famous artists such as Jeff Koons or Julian Schnabel will close on Paddle8 at 12:00pm EST on Tuesday, April 22nd. Live auction begins on Tuesday, April 22nd at 07:00PM EST. 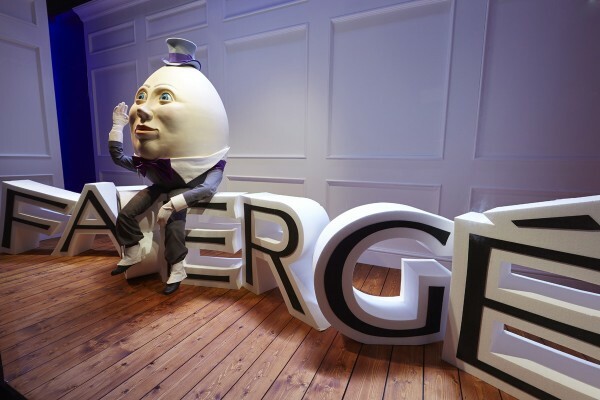 Fabergé is hoping that the New York initiative will repeat the success of The Fabergé Big Egg Hunt in London in 2012, which set two Guinness World Records and raised more than $15 million for charity. 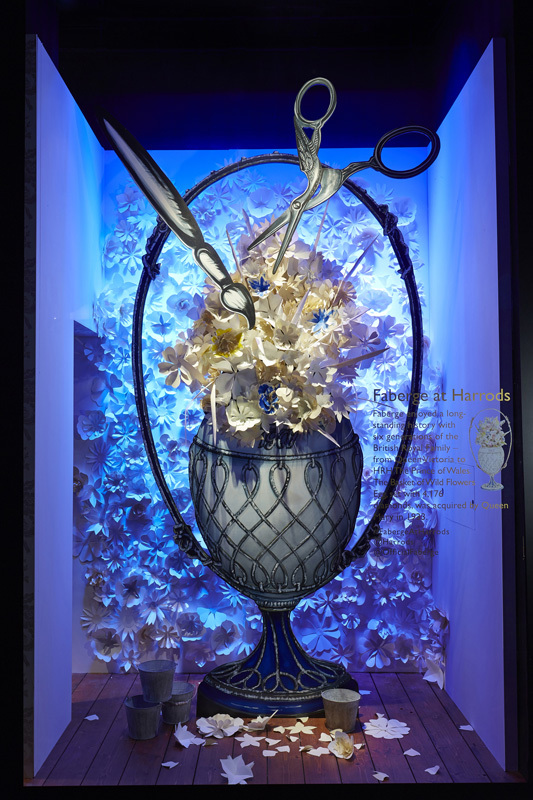 In London, Fabergé has teamed up with Harrods for a creative collaboration that will run until 21st April 2014. 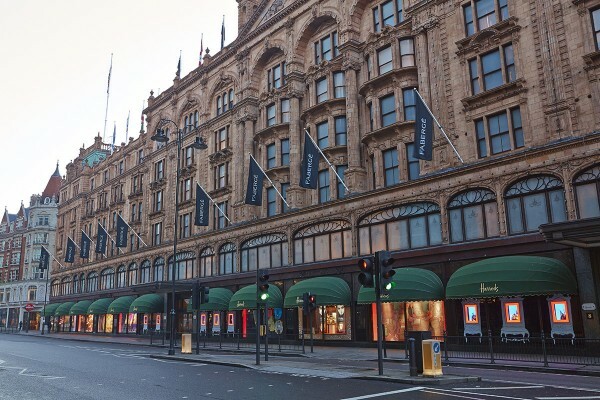 An exhibition space has been set up in the famous department store, with the famed Brompton Road windows and façade dressed in Fabergé flags, telling the story of the legendary jewelry house. On display is a a rare masterpiece, an original Fabergé Egg – The Apple Blossom Egg, together with other historic Fabergé treasures. 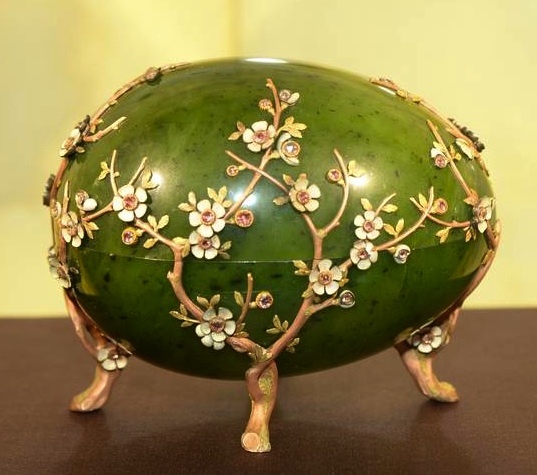 This Egg was designed in 1901 and is beautifully crafted in gold, diamonds and nephrite. To celebrate the extravaganza, Fabergé has created a limited-edition Spiral Tassel Pendant, available exclusively at Harrods. 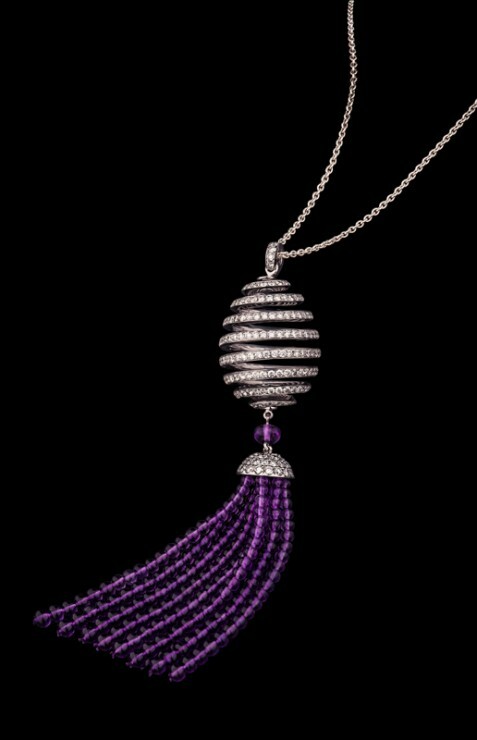 The modern, playful, diamond-set egg comes with a stunning gemstone tassel, finished with amethyst, tsavorite, or spinel.